The sun was out. For a solid two weeks, the sun was out. We ate meals outdoors, we made ice cream, we rode our bikes, and sometimes, if we played our cards right, we did all three of those things in one day. It was a glorious time. Spring, as I have mentioned one or two or a million times before, is usually a rather difficult time here in the Pacific Northwest. The rain is persistent, the temperature rarely creeps above a somewhat insulting 60 degrees, and the fact that one nearly always spends Memorial Day weekend wearing rain boots starts to seem sort of grueling. But a week and a half ago? Oh, let’s talk about that. Temperatures crept near the 90s, the sun was shining each and every day, and we spent as much time outdoors as humanly possible. Perhaps best of all, we made the season’s inaugural bike ride downtown to have a picnic dinner on the waterfront. My love of picnics remains unrivalled, so this event was a spectacularly big deal for me. I spent most of the morning thinking about what I would pack for our picnic, and by the time I picked up my son from school, the answer was clear. What do you take on a very important picnic? Why, you take the World’s Best Picnic Sandwich, of course. Why the World’s Best? 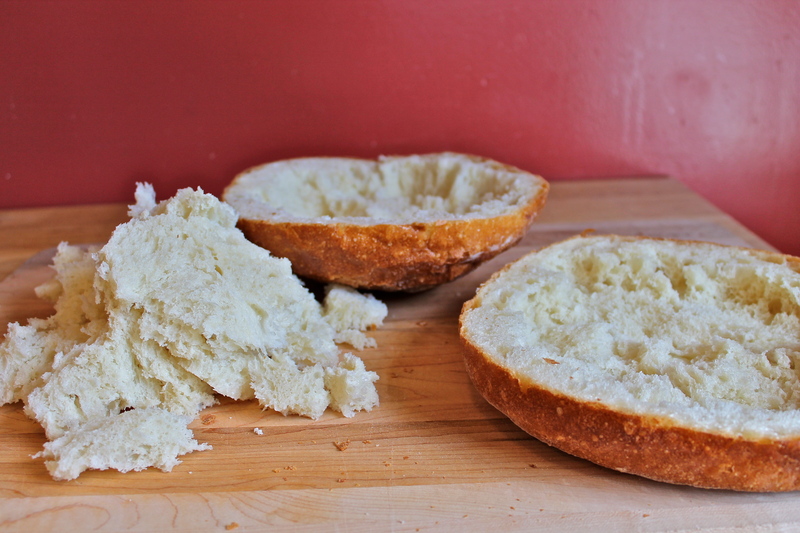 Let’s start with the construction, an ingenious method of hollowing out a good portion of a hearty round loaf of artisan bread in order to create a cozy little nest for the sandwich’s fillings. 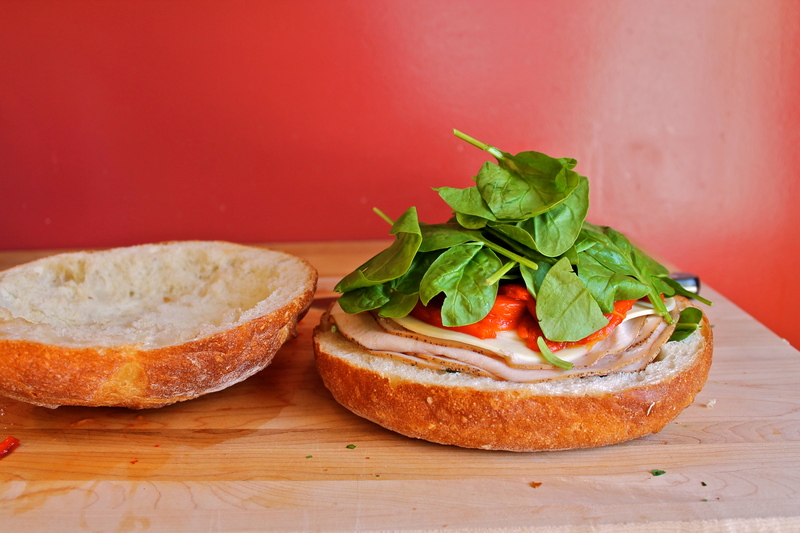 The fillings in question can be altered to satisfy the tastes of the people eating the sandwich, but I nearly always go for the solid combination of provolone cheese, peppered turkey, roasted peppers, lots of leafy greens, and, though I forgot them this time around, big, juicy slices of tomato. However, let me back up just one moment and mention what might be the crowning achievement of this sandwich: the olive tapenade. Wonderfully flavorful, the tapenade is the secret weapon of this sandwich, harmonizing tastes and textures and adding that little bit of something extra that makes this sandwich a real standout. All in all, this is a sandwich of note, and its presence at our first waterfront picnic of the season could not have been more appreciated. All we need now is some more warm weather so we can have more picnics (because right now it is 52 degrees and raining and…let’s not talk about it). 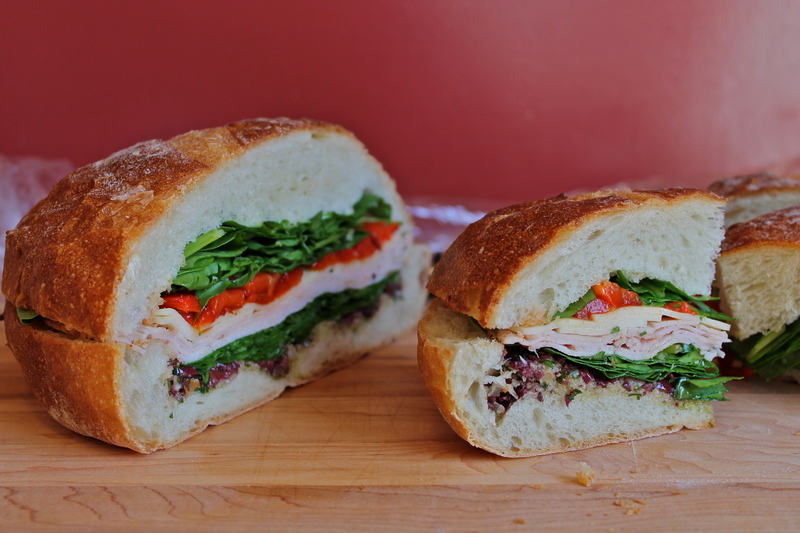 This sandwich has a lot in common with a traditional muffalleta sandwich, though the tapenade in this sandwich is decidedly less loud than the standard olive salad found in a muffaletta. 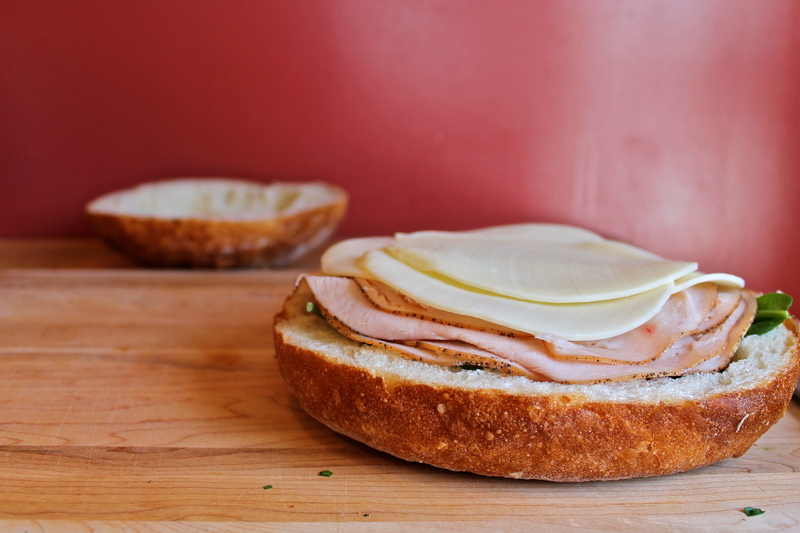 This sandwich also lacks the selection of meats found in a muffaletta, though you can certainly swap out a variety of meats depending on your tastes and desires. 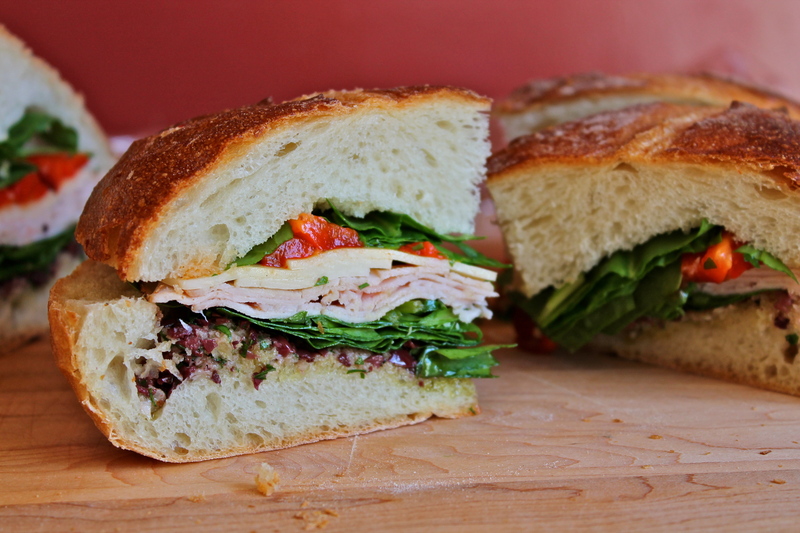 One step that I find is crucial in making this sandwich really sing is the rest time. 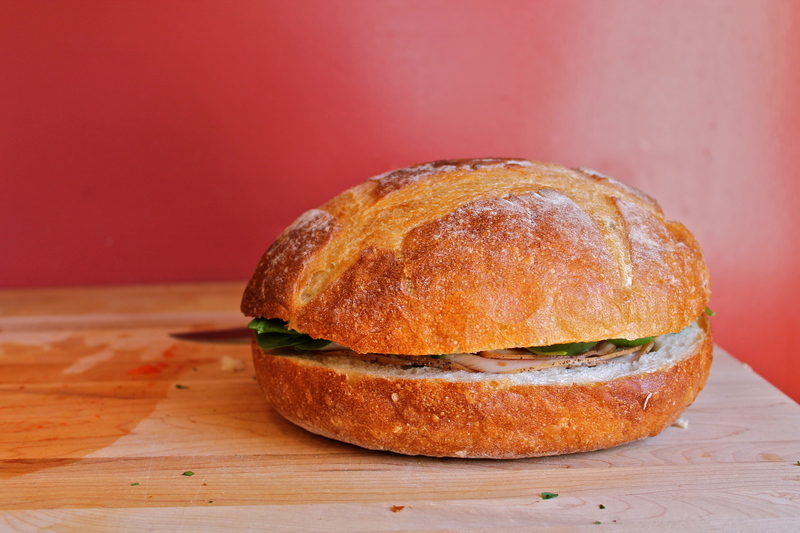 Wrapping your sandwich, either in slices or as one whole loaf, and allowing it to rest in the refrigerator for a bit really makes the flavors meld together and create a nearly perfect finished product that is worthy of the Sandwich Hall of Fame (is that not a real thing? I think that should be a real thing). 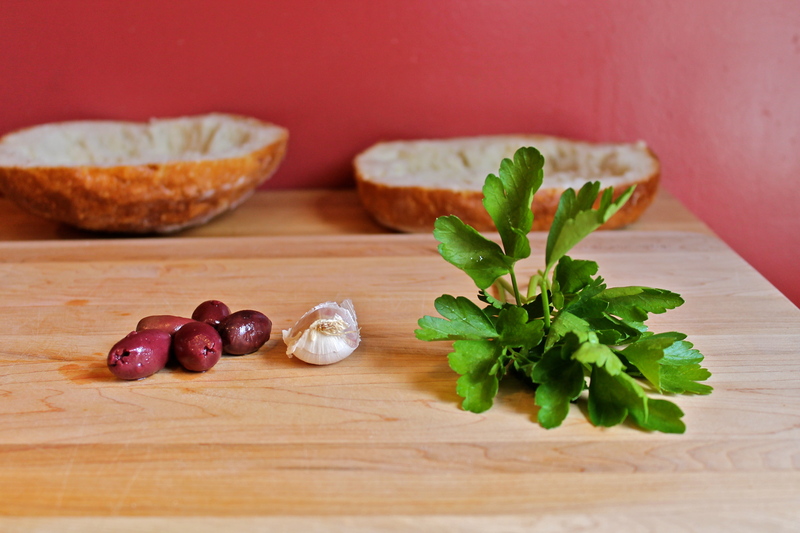 In a small bowl, combine all ingredients and mix together thoroughly. 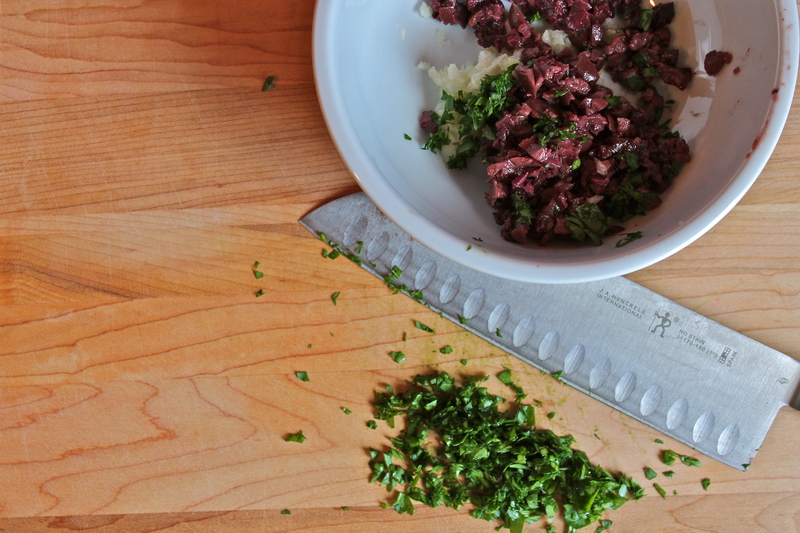 Add pepper to taste, and add balsamic vinegar if you think the tapenade needs a bit of an acidic kick (some people think the balsamic fights with the taste of the rest of the sandwich, so adding it is entirely optional). To construct sandwich, cut the loaf of bread in half lengthwise. 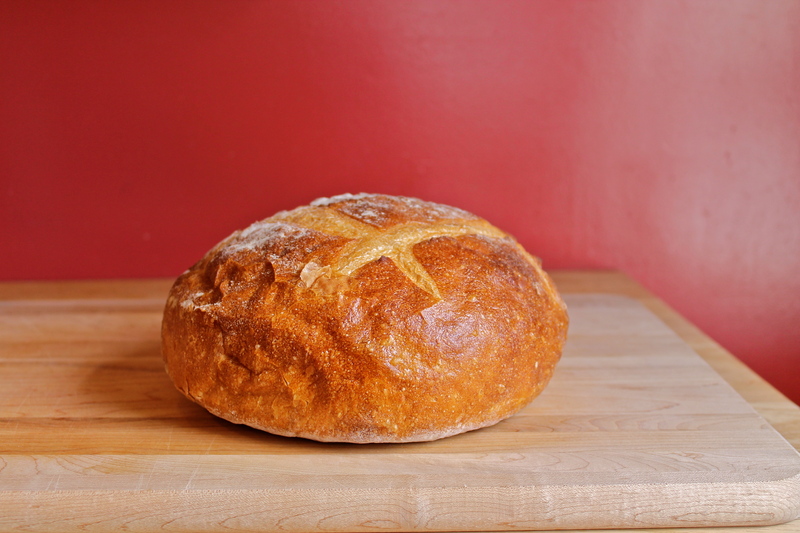 Tear out half an inch to one inch of the soft middle of the bread, leaving the bottom of the loaf shallower an the top (leaving a deeper space in the top of the loaf allows you to pile your sandwich ingredients higher with less threat of the sandwich collapsing). You can reserve the torn-out bread in a plastic bag and freeze it for another use (bread brumbs, romesco sauce, etc.). 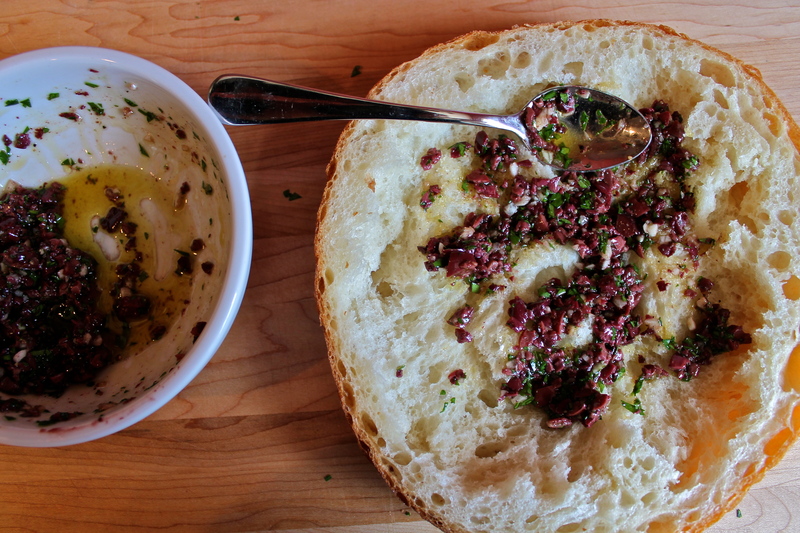 Spread the insides of both the top and bottom bread halves with the olive tapenade. 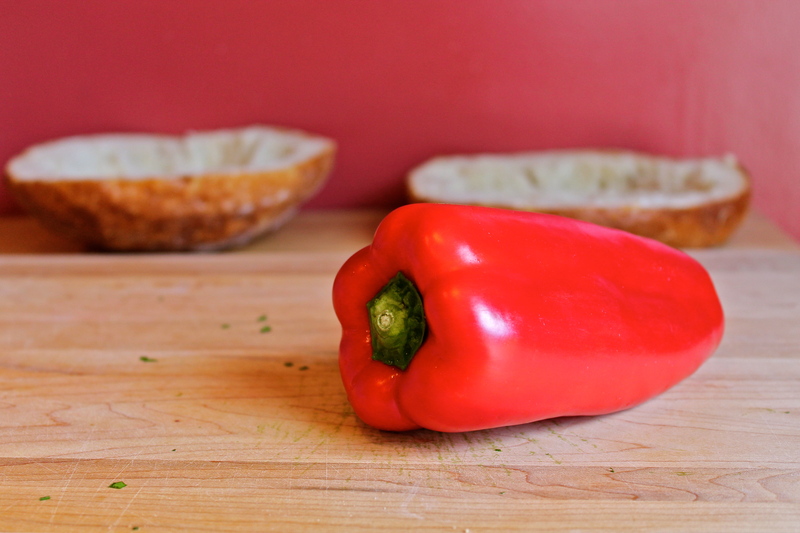 On the bottom half, add a handful of greens, then layer on the turkey, the cheese, and the roasted pepper slices. Add another handful of greens, then place the top half of the loaf (the lid) over everything. Slice the loaf into 6 or 8 individual sandwiches, depending on how large you want your servings to be. Wrap each sandwich tightly in plastic wrap, and allow to rest in the refrigerator for at least 1 hour (though letting everything rest longer, even overnight, produces a smoother-tasting, more flavorful sandwich). Makes 6 or 8 individual sandwiches. Or 4 individual sandwiches. Or, heck, even 2 (in which case, I salute you). This looks delicious! I’m totally going to make this for my next weekend hike. Nothing beats a delicious picnic sandwich in a beautiful spot on a nice day and these will add nice variety to my repertoire of pb&j and cheese sandwiches.